This week, the Senate just passed a new bill that will make significant changes to a major aspect of our society. The changes are so sweeping and important, it has many people talking. Rush Limbaugh just pointed out that the new law accomplishes something NFL kneeler Kaepernick claimed he cared about. Are we going to get a response? Way back in 2016, NFL quarterback Colin Kaepernick — once a rising star — started kneeling during the National Anthem. While everyone else on the field stood up and respected the flag, the football player claimed he was protesting. Kaepernick’s stunt inspired numerous other players to kneel during the anthem. The protest movement spread like a cancer across the NFL. The shocking displays were seen by fans as an insult to our flag, troops, and very way of life. The bad blood generated by Kaepernick’s stunt has continued to poison the NFL. While Kaepernick is out of work (suing the NFL for big bucks), football teams are suffering. Attendance at stadiums is at an all-time low. Ratings are dropping, big time. Many fans cannot get over the last two seasons, where rich, entitled, and arrogant athletes chose to insult the very country that gave them their lifestyles. But why did Kaepernick start all this trouble? He claims he was protesting racism. The former NFL player claimed criminal justice reform was a central reason for his protest. Kaepernick said minorities are poorly treated in our prison system, and he was demanding change. This week, the Senate passed a new bill. This bill will make sweeping reforms in the criminal justice system, most of which address conditions in prisons. The bill has support from Donald Trump, as it originated with his son-in-law and advisor Jared Kushner. 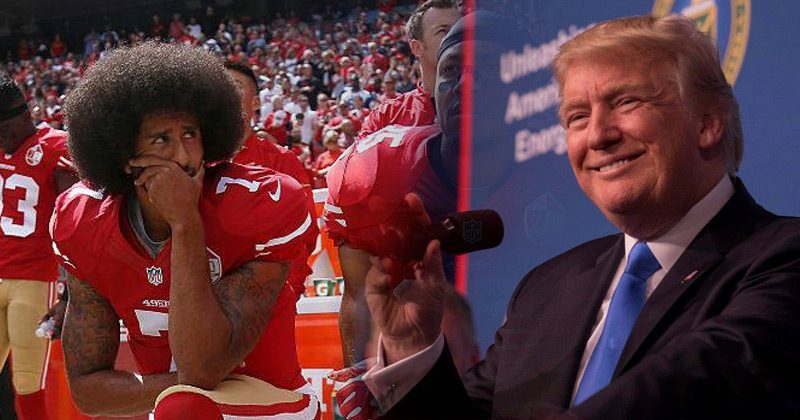 Conservative pundit Rush Limbaugh was quick to point out that the very man Kaepernick hates is the one who delivered on his most-important demands. How ironic. While Kaepernick would make clear over the next few months that he held the United States in low regard in general, even going so far as to compare the U.S. government unfavorably to Fidel Castro’s tyrannical communist regime, the central focus of his movement has continued to be criminal justice reform. On Tuesday, the loudest critic of the anti-anthem protests “delivered what Kaepernick kneeled for,” noted talk radio host Rush Limbaugh, when the U.S. Senate overwhelmingly passed the Jared Kushner-spearheaded criminal justice reform bill in an 87-12 vote. The First Step Act brings long-demanded improvements to our criminal justice and prison systems. Among the changes, the law will send up to 4,000 prisoners home by increasing the amount of time that inmates can cut off sentences due to good behavior. It will allow more inmates to serve time in house arrest instead of prison (except for high-risk inmates). Prisoners will now be within 500 miles of family. The bill also makes sure health concerns for female inmates will be properly provided for. Kaepernick, and the many players who followed his lead, accused the United States of being uncaring and cruel. He compared us to dictatorships that abused its people. Yet all the liberal politicians he praised didn’t push for this level of prison reform. On the contrary, it was a Republican president — backed by GOP lawmakers — that made these changes happen. So, I wonder: will Kaepernick acknowledge this huge win? The First Step Act might not be able to fix every problem in our prison system. But it goes a long way in making improvements that reformers have been demanding for years. We haven’t seen a bill like this get passed in decades. Chances are Kaepernick will say nothing. He will ignore this major breakthrough and refuse to acknowledge the contributions Trump and the GOP made to help minorities. NFL players will continue to kneel, insulting our country and ignoring actual progress. But will you? SHARE to show your support of President Trump and his success.